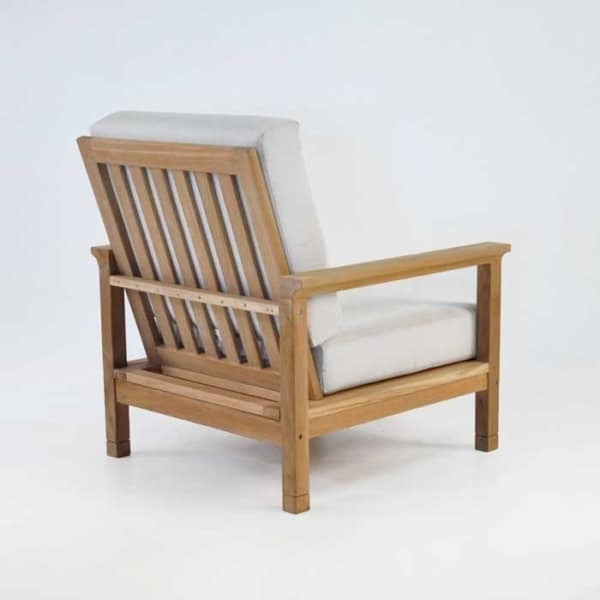 Simple, succinct and stylish; the St. Tropez Teak Outdoor Club Chair is a wonderful choice which complements many styles of homes! 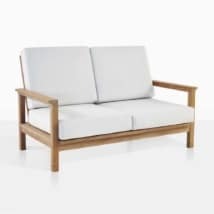 Whether on its own as a relaxing chair or as part of a bigger set; the St Tropez Outdoor Club Chair will create a place for you to sit back, unwind, and enjoy your surroundings. 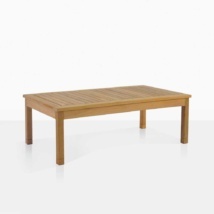 W32" x D37" x H37"
The St. Tropez Teak Outdoor Furniture Collection is tranquil, balmy, and incredibly comfortable! Designed keeping in mind the principles of holiday life in the relaxed town of St. Tropez. This solid A-Grade Teak Outdoor Club Chair suits both traditional and modern environments, and can accommodate all spaces, big or small. The St Tropez Outdoor Club Chair has a simple, sturdy frame and features a lightly flared arm rest, perfect for a small cup, glass, or just to rest your arms! 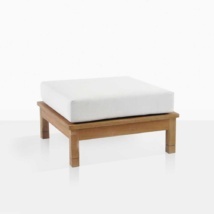 The legs of the chair have a carved detail which adds to the overall elegance of the piece. 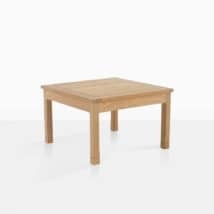 The St Tropez Teak Collection is made from A-Grade Teak, durable and long lasting in the outdoors for its natural oil and rubber content. It includes free Sunbrella® cushions in your choice of Taupe, Coal or Canvas or customize your set! Click on the Sunbrella® logo below to see our great array of fabulous colors – available to you at no extra charge! Just a small lead time to give you the stunning look that you desire! Try four of the St. Tropez Outdoor Club Chair in regal Capri Sunbrella® around a 43” Round Low Coffee Table for a tremendous, restful spot to enjoy the company of others. 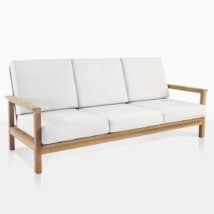 Or achieve a polished patio with the St Tropez Sofa, Loveseat, two Club Chairs and the St Tropez Coffee Table. A rewarding place to host wonderful parties! 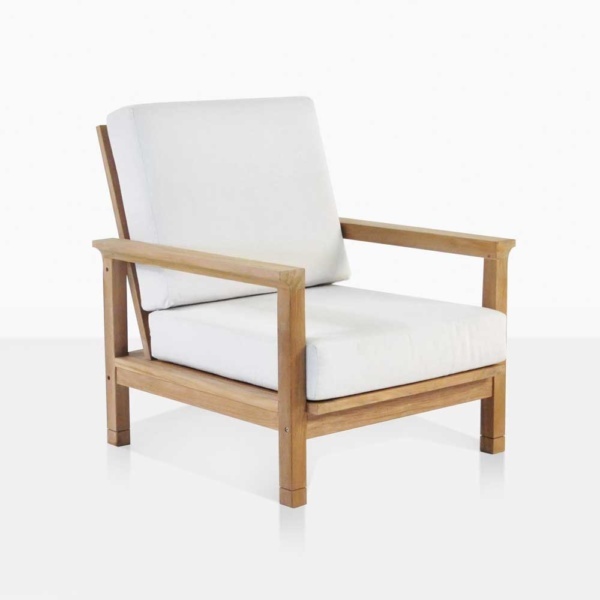 The St Tropez Club Chair is in store now and ready for shipping!